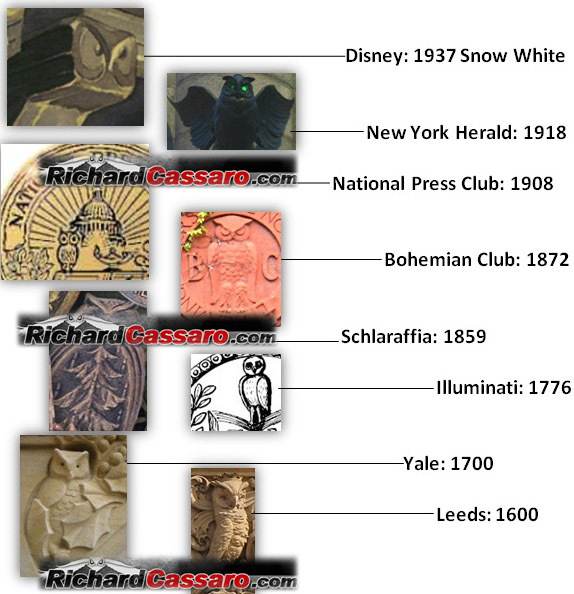 There is a fair amount of evidence that the owl is the chief symbol of an elite yet undiscovered secret society moving through history. 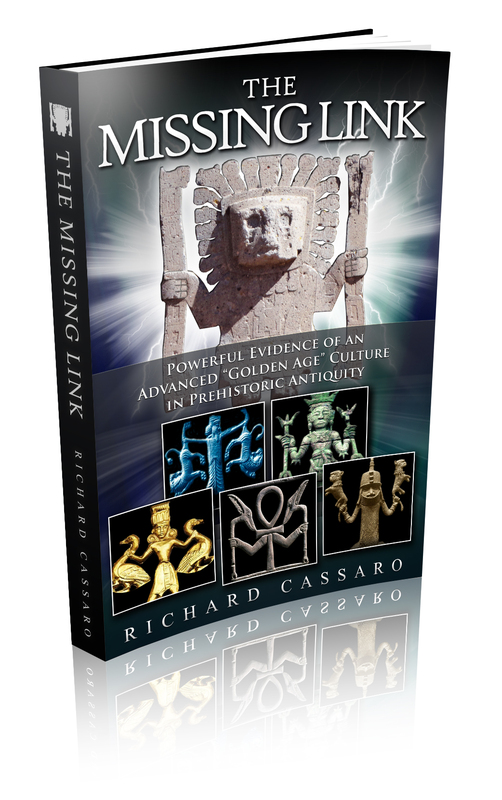 In this article we’ll examine this evidence and uncover the lineage of this secret society. We’ll also learn how the magic, majestic, and nocturnal owl actually symbolizes an ancient self-empowerment doctrine once known and practiced worldwide. Top Left: Owl on Merchants Building on Broadway at 4th Street in NYC. Top Right: Detail on the Catford Broadway Theatre, London. Bottom Left: Owl depicted on the façade of the Woolworth Building in Manhattan, NYC. Bottom Right: Owl on a bridge of the Merritt Parkway in Connecticut. 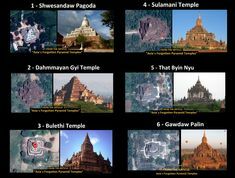 Above: Is this the society’s hidden timeline? 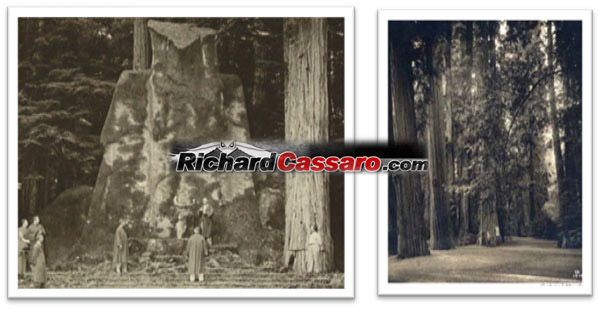 If indeed there is a Secret Owl Society moving through history, then its most recent manifestation is at the mysterious “Bohemian Grove,” a 2,700-acre campground located at 20601 Bohemian Avenue in Monte Rio, California. Left: Built in the 1920, this forty-foot owl statue stands near a lake at the Grove. Since that time it has served as the site of the yearly Cremation of Care Ceremony. Right: Early 1900s. Very tall and very old Redwood trees — some over 1,200 years old. Add to this list a host of prominent CEOs and business leaders, most of them conservative, many of them from California, 99 percent of them white men. 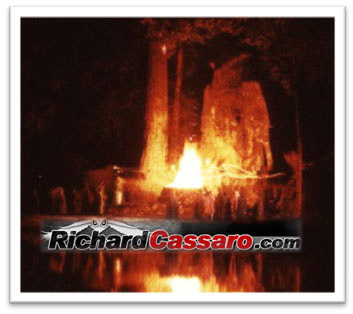 The apex of the Bohemian Grove’s rituals is the Cremation of Care ceremony. This was devised in 1893 by a member named Joseph D. Redding, a lawyer from New York. G.William Domhoff, a professor of psychology and sociology at the University of California, Santa Cruz,, obtained access to the Bohemian Club’s records and membership and was able to conduct extensive research into the organization and their activities, including details surrounding the Cremation of Care ceremony. According to Domhoff, on the first Saturday of the camp, this elaborate ritual is held just after dinner. The ritual’s main theme is the celebratory burning of an effigy of “Dull Care” at the bottom of a forty-foot stone owl. The ceremony involves the poling of a small boat across a lake containing an effigy of Care (“Dull Care”). Dark, hooded individuals receive the effigy from the ferryman which is placed on an altar and, at the end of the ceremony, is set on fire. The occult meaning of this ceremony seems clear. These men carry the cares of the world and use a symbolic ritual to cast it off. The remaining time at the Club represents a careless period, or vacation of sorts, during which time no business is conducted. The pertinent evidence to the present article, of course, is the fact that the ceremony takes place next to a 45 foot (14m) high concrete owl statue, symbolizing knowledge and wisdom. The voice of the owl during the ceremony is former newsman Walter Cronkite, himself a member of the Bohemian Club, and music and fireworks accompany the ritual for dramatic effect. Taking part in the ceremony increases the chance of a certain outcome: the same stress-release and cleansing of negative energy expected from a vacation. They have created a magic ritual, using the power of fellowship and love, to help cleanse the bad energy from the group. Magical thinking applies here: they believe they have done it, and so they have. It doesn’t seem to be a location of secret dealings, per se, as conspiracy theorists believe. What actually seems to happen instead is that friendships are made here, truly flowering and blooming in contrast to the ideas of secret or backdoor dealings. The Bohemian Club’s motto—Weaving Spiders Come Not Here—is a line from Shakespeare’s A Midsummer Night’s Dream, and it directly contradicts the conspiracy theorists’ claim of secret deals and backdoor negotiations. The line’s connotation is that webs, or deals and plans, cannot be hatched here; instead, the camp is entirely focused on the “Bohemian Spirit,” a term used to signify the camp’s ideals of pleasure, friend, freedom, and awakening. Left: Metal bas relief owl and inscription on the brick wall at 624 Taylor, San Francisco, CA. Right: The words above Taylor Street say, ”Weaving Spiders Come Not Here.” The word “weaving” means “planning” which “planning” stands in direction opposition to the occult purpose of the Cremation of Care ceremony, the centerpiece of the Grove. The Greeks associated the spider with the Fates. The Indians associated the spider with Maya, the weaver of illusion. The Scandinavians associated her with the Norns, the women who wove the threads of life. Native Americans believed that the spider wove the first alphabet. As the spider weaves its web, so too we weave our own lives. Thus spiders symbolize creation, an aspect that has no place in the Grove: the Club is there for the destruction or cremation of care, and destruction is creation’s opposite. Spiders are feminine, connected to Ishtar, Atargatis, Athene, the Fates, the Norns, Holda, Inktomi, Kokyangwuti, Tsitsicnako and Sussistanako and Neith. Some Native American tribes believed the spider was the weaver who created the world and saw her as a symbol of creative female energy. For the ancient Egyptians, Celtics, and Hindus owls were connected to guardianship of the underworlds, and protection of the dead. In this light, the owl was ruler of the night and seer of souls, a suitable association for the most mysterious, magical, and powerful bird of the forest. A misunderstanding of this necessary relationship gave the owl negative associations with death. Because of their wings (which give owls the ability to fly away from earth and shuffle off this ‘mortal coil’) birds in general are symbolic messengers between the earthly and spirit realms. Note that, while there is a concept of death involved here, it’s only “death” in the sense of being an open doorway from physical to spiritual; more precisely, from the temporary material world we live in now back to the spiritual source from whence we came, and are now traveling toward. The concept of death is very important in the mystical traditions of the Secret Societies. It is, however, the death of the lower self, and not the soul, that is being affirmed: this death is in fact a doorway back to the Self, revealing the soul inside. In other words, to transcend death we must realize that we are a higher eternal Self (soul) incarnated in a lower, temporary self (body). Since humans do not realize this, we are, in a sense, “imprisoned” in the body, and must transcend it to free ourselves and realize our own inner divinity. A “resurrection” back to the true Self is needed, as it were. And for there to be a resurrection, there has to be a sacrifice. This sacrifice is care, the ego, the lower bodily self (lowercase “s”). In practically every ancient culture, solitary nocturnal creatures are symbolic of these ideas, of inner-knowing, psychic ability, and intuition; all of which are traits of the soul within, not the physical body. 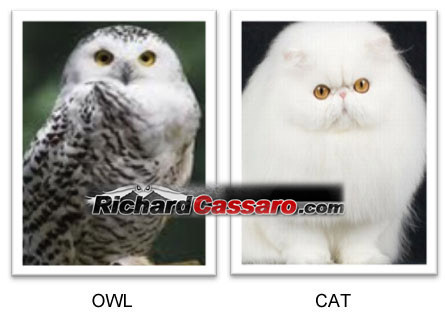 The owl is a perfect example of such a creature. The owl knows all of this. The owl is wise, and always deeply connected with magic, shamanism, and heightened senses throughout the ages. Native Americans associated owls with wisdom and foresight, and identified them as keepers of this sacred knowledge. The bird’s ability to see at night was legend, and this attribute would be invoked during ceremonies when an oracle of secret knowledge was required. Shamans called upon Owl medicine for insight. Plains Indians wore owl feathers to protect against evil spirits. The Cree and Apache believed the Boreal Owl was a summoning to the spirit world. To this day, Native Americans associate the owl with spiritual vision; the owl is viewed with respect and associated with the souls of deceased ancestors. African cultures viewed the owl similarly to the Native Americans, heralding them as messengers of secrets as well as the bird of sorcerers, witches, and warlocks. In Madagascar owls are said to dance on the graves of the dead, and to the Aboriginal Australians they are companions to medicine people. In some middle and far eastern cultures, the owl is a sacred guardian of the afterlife, ruler of the night as well as a seer and keeper of souls transitioning from one plane of existence to another. The owl is still considered a witch’s companion, sharing unique spiritual communication between them, and even sharing the same secret powers of the night. In Celtic tradition, the owl represents wisdom, clairvoyance, stealth, initiation, change and detachment. Medieval Europeans believed owls were witches and wizards, shape-shifters in disguise. 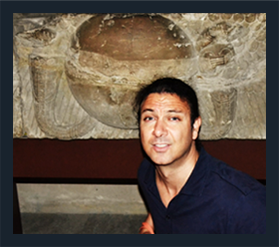 Left: Owl, Acropolis, Athens c.500 BC. 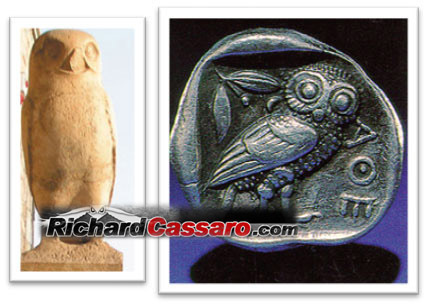 Right: The owl money of ancient Greece. And so it is clear that the owl has, for thousands of years, symbolized wisdom, spirituality, our intuitive self, and our connection to the source of our eternal Self. 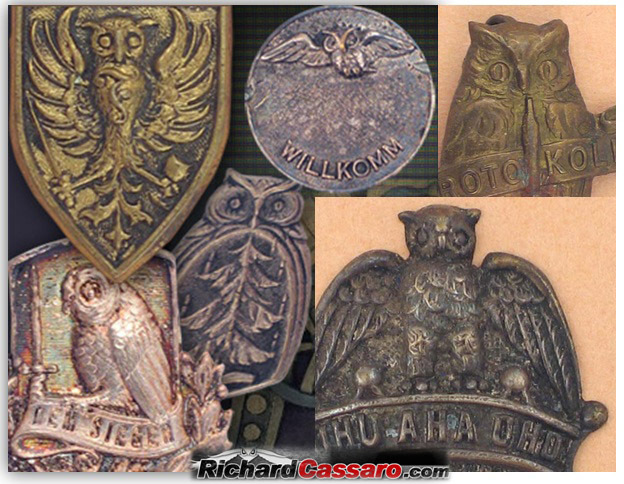 Is there a Secret Society that uses the owl as their symbol, and is the Bohemian Club their current incarnation? Many conspiracy theorists point out the existence and secretive nature of the Club, but few dig deeper into the Club’s history. Is the Bohemian Club an independent phenomenon, or is it actually the most recent manifestation of a much bigger and older society? 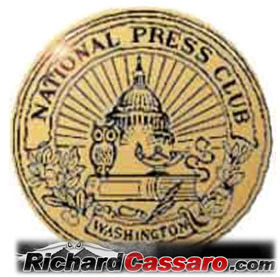 Above: The National Press Club is said to have been established in 1908 by thirty-two newspapermen. Their logo features a large owl perched on a book in front of the capitol building. The NPC is said to have been established in Washington DC in 1908, soon after elites and journalists on the West Coast established the Bohemian Club. 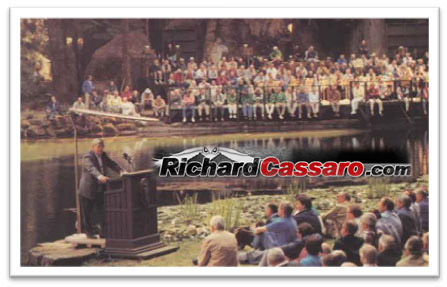 Most presidents have lectured here, and both Carter and Reagan announced their candidacies for president here. 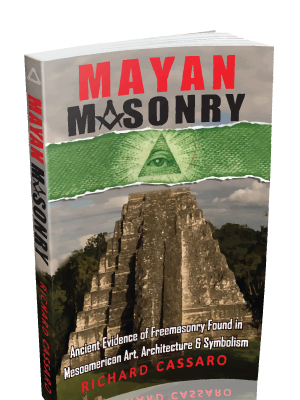 Mystical symbolism in NPC’s logo reveals influence from Bohemian Grove’s Owl Shrine. But is there a link? If so, what exactly is the connection? Unlike the Bohemian Grove, there are no known “occult” ceremonies attached to the NPC. However, unique and mysterious owl symbolism is certainly present here. 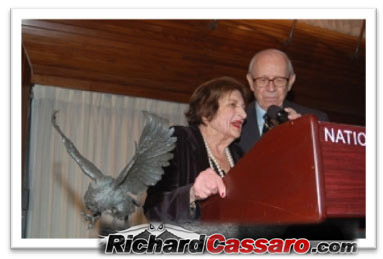 Above: Famous journalist Helen Thomas at NPC (Photo Courtesy of Terry Hill). 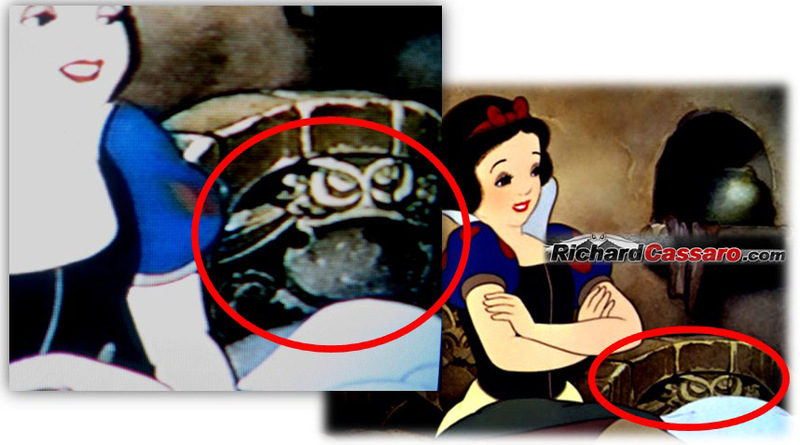 The owl symbol is also prevalent among Walt Disney’s most important films. 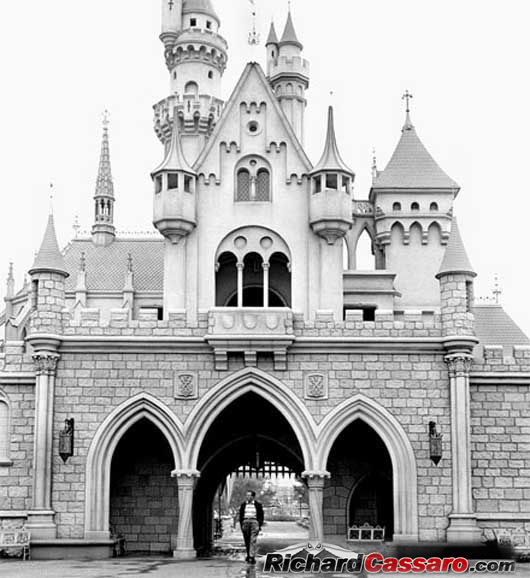 It is said that an owl in one form or another mysteriously appears in every Disney picture. Not only that, but the owl even appears “clandestinely” in at least one Disney picture, Snow White and the Seven Dwarfs (1937). When Snow White enters the cottage of the seven dwarfs, the esoteric owl imagery is overwhelming. It’s worth watching.Within a 20 minute time span owl “backgrounds” appear many dozens of times. Left: Owl symbols form the landing at the top of the stairs. Right: Owl symbols form the stairs. 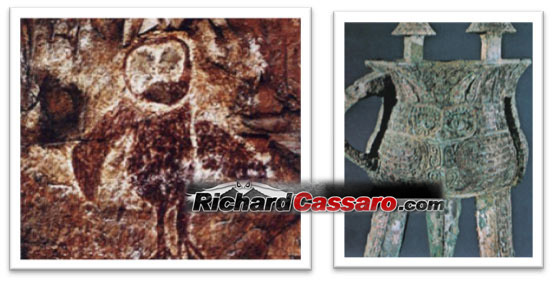 Left: The image of a flying owl forms the top of a coat-rack. Right: The image of owls forming the staircase. Left: Two owls appear above the doorway. Right: An owl forms part of a wall-support. 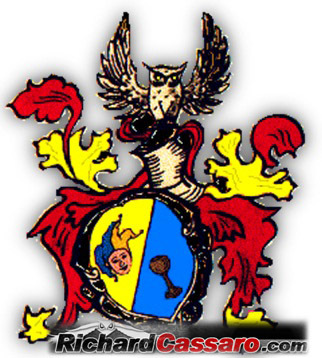 Established in Prague, Bohemia, 1859, thirteen years before the Bohemian Club, the Schlaraffia was a group of actors, writers, artists and musicians (similar to the Bohemian Club); and they too (like the Bohemian Club) use an owl as their talisman. This society, called Schlaraffia, is a fraternal body with lodges spread globally, on every continent. Artists, writers, teachers and academics in the famously elite city of Prague founded the Schlaraffia society in 1859. Its aim was to become a place where men could cast their worries away and revel in art, humor and friendship. Customs, pomp and ceremony from medieval times are used at Schlaraffia sessions, the group maintains a relationship to civic societies of the Medieval Age. The Society’s talisman is an owl, called UHU in German, said to be the emblem of wisdom. The Greeks and Romans believed the owl implied prudence and wisdom. Reychs currently exist in Germany, Austria, Switzerland, Italy, Spain, France, Belgium, Sweden, the USA, Canada, Mexico, Venezuela, Columbia, Ecuador, Brazil, Argentina, Thailand, South Africa and Austrailia… The approximately 280 “reychs” (local clubs) stay in close contact with one another. Each Schlaraffe is always welcome in every reych in the world. 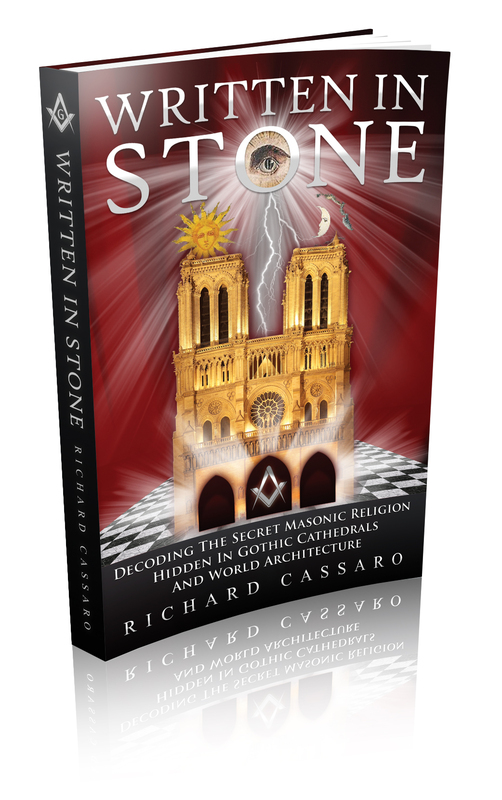 At about the same time as the Shlaraffia’s founding, a mysterious and inexplicable array of owl symbols and images began appearing quietly, prominently and distinctly in the stones and brickwork architecture at Yale University. 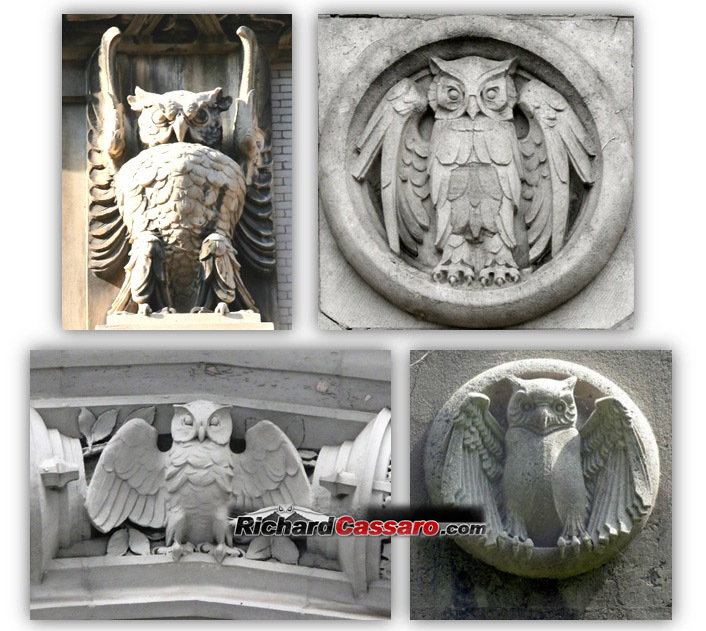 Above: Owl images written into the stone architecture of Yale University’s campus. Yale University is a private Ivy League university located in New Haven, Connecticut, United States. Founded in 1701 in the Colony of Connecticut, the university is the third-oldest institution of higher education in the country. Yale is widely considered one of the most prestigious and selective universities in the world. Mysterious, looming towers, massive rock walls covered with ivy, grotesque stone carvings leering from the eaves: most of the buildings at Yale look like they belong in the 11th century. But Yale was established in 1701—not exactly the Middle Ages—and this makes the neo-Gothic architecture that dominates Yale’s campus only a few hundred years old. As we can see, images of owls are literally everywhere embedded in the stone. But, why? What does the owl stand for? What does it symbolize? The easy answer, of course, is that the owl is a symbol of “wisdom,” which is embodied by the university. But is it possible that there’s more going on here? It is said that Yale hired architect James Gamble Rogers (1867 – 1947) to give the school an older feel. The University sought to imitate Britain’s venerable Oxford and Cambridge Universities: established bastions of academic prestige. Unlike most neo-Gothic architecture, which is built with steel frames and merely reinforced with stone exteriors, Yale’s Gothic buildings are, for the most part, built with solid stone instead. This tells us that the stonemasons (i.e., read “Freemasons”) who designed and built Yale’s buildings were advanced, perhaps even gifted. The 216-foot Harkness Tower was once the tallest free-standing stone structure in the world, before worried architects decided to reinforce it. 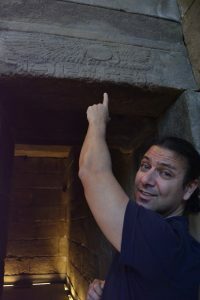 Is it possible that the owl symbols rampant in the art and architecture of Yale have a deeper, more esoteric meaning? Are the Yale owls actually symbols of a S.O.S. that was there at the very beginning of this now-famous Ivy League institution? Is the owl in the architecture somehow connected to the later institutions of the Bohemian Club and the National Press Club?